Born in Prague, Czech Republic, Daniela Sipkova Mahoney first experienced traditional egg decorating as a child during Easter. She moved to Oregon in 1983 where she returned to traditional egg decorating and soon developed the craft into a full time business. 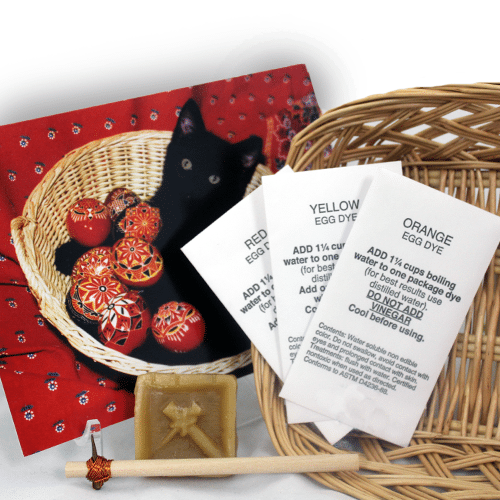 Daniela personally assembled these egg decorating kits which include a selection of dyes, pure beeswax, a traditional kistka tool, an adorable Easter card, and instructions.